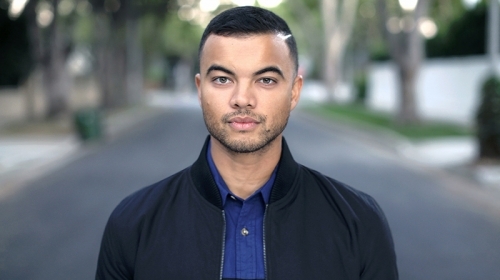 Guy Sebastian is the only Australian male artist to have ever achieved six number one singles and two number one albums in chart history. Guy was born in Malaysia in 1981 and moved with his family to Melbourne, Australia at the age of 6. After turning 10 his family moved to Adelaide, which they were to call home for all of Guy’s teenage years. Guy’s interest in music started at a young age, tapinghis favourite songs from the age of four. It was at the age of 14 that Guy started singing. Over the course of his career Guy has received 22 ARIA Award Nominations including Single of the Year, Best Male Artist and BestPop Artist, and won the ARIA Award for Highest Selling Single for Angels Brought Me Here and Who’s That Girl. Altogether, Guy has released 11 top ten singles, and three other top 15 singles. Six of those singles have achieved multi-platinum certification, including the 9x platinum Battle Scars. With 42 platinum, three gold certifications and combined album and single sales over 3 million in Australia, Guy has one of Australia’s best success stories. And in August 2013, Battle Scars went Platinum in the US, with Guy being one of few artists in Australian music history to achieve this. In 2003, Guy became the first Australian Idol winner, capturing the hearts of Australians with his uniqueness and incredible vocal talent. His first solo single Angels Brought Me Here debuted at Number 1 and was the fastest selling Australian single in ARIA chart history. 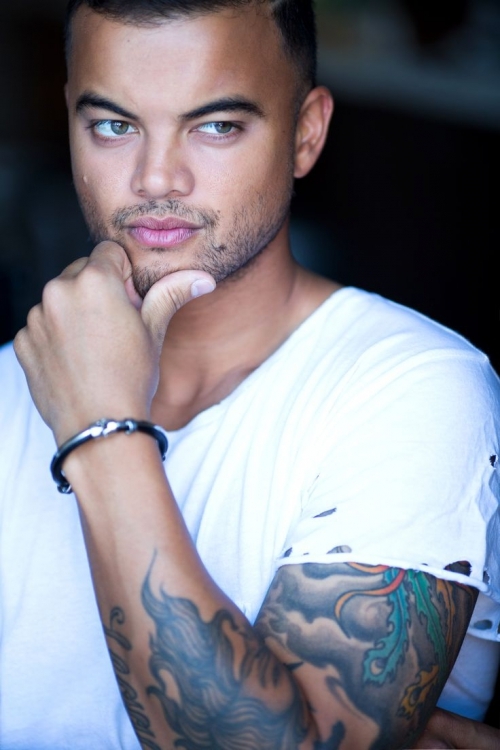 The smash hit single also reached Number 1 in New Zealand and four Asian countries, and he was subsequently invited to sing as a guest at American Idol in 2004, proving Guy is a world class talent. His debut album Just As I Am once again dominated with record breaking sales. 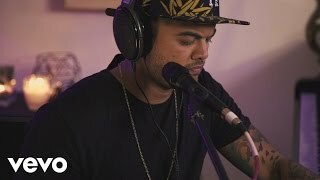 The success carried effortlessly into his second album, Beautiful Life, where Guy took more control of his craft, giving audiences a clearer perspective on his work without the weight of Australian Idol in his shoulders. Beautiful Life went Double Platinum earning him another Number 1 single Out With My Baby, which also scored him a 2005 MTV AVMA for Best Pop Video. A sell-out live tour showed the country he was more than just an as-seen-on-TV star with big hair -he was a genuine musician who oozed talent. Having sold a staggering half a million records, Guy released his third album Closer To The Sun in September 2006. The album has to date reached platinum status and continues to sell strongly with three singles having being released. In 2007 Guy won the publicly voted ‘FaveAussie’ gong at the Nickelodeon Kids Choice Awards in Sydney for the third consecutive year. Guy also partnered Sarah Ryan three-time Australian Olympic swimmer on the Seven Network program It Takes Two. In May 2007, Guy performed with a 60 piece Australian Philharmonic Orchestra for three special shows at the Sydney Opera and Hammer Hall, Melbourne. Allofthese shows were sold out. Also in 2007, Guy recorded his fourth studio album in Memphis, TN entitled The Memphis Album, which is a collection of the greatest soul songs ever to come out of the StaxRecords label. For the recording sessions he assembled many of the musicians who wrote and played on some of the original tracks, including some of the greatest musicians of all time including Steve Cropper and Donald “Duck” Dunn. The Memphis Album was released in November 2007 and sold more than Double Platinum, taking Guy back to the top of the charts. In March 2008 the entire Memphis band joined Guy on his national Australian tour. The tour was met with critical acclaim and was nominated at the HelpmanAwards for ‘Best Tour and Live Performance’. In October 2008 The Memphis Album became Guy’s third album to be nominated for the Highest Selling Album category at the prestigious ARIA Awards. In early 2007 Guy also wrote an recorded the official song for the World Youth Day 2008 which he performed on 20 July 2008 before the papal address to a live audience of 500,000 and a television audience of an estimated two billion. In October 2008 Guy was nominated for and won two Australian Club Industry awards including the prestigious ‘Outstanding Performer of the Year’. In 2008/2009 Guy moved to the US to record his 5thstudio album. He spent time in Los Angeles recording tracks for the album withJohn Mayer, whose legendary guitar playing features on four songs. The remainder of the album was recorded in New York. 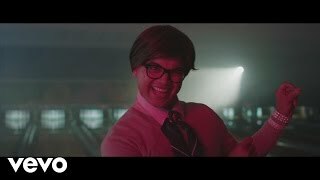 In August 2009 the title track of the album Like It Like That was released and went straight to the top of the National Airplay and ARIA charts giving Guy his 4th#1 single. The song was picked up by NBC in the US as the theme song to their national summer roll out campaign. Channel Seven alsopicked up the song to front their summer roll out across Australia helping take the track to the highest selling Australian song on iTunesin 2009. Guy’s 5thstudio album Like It like It That was released in November 2009 to critical acclaim, with the album going Platinum and the title track Like it Like That going triple platinum. 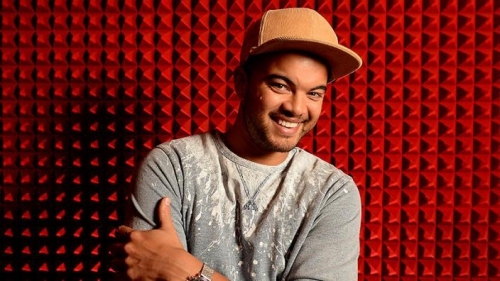 In 2010 Guy toured the US and Australia, worked as a judge on Channel 7’s hit television show The X Factor, and also received six ARIA nominations for the 2010 ARIA Awards. In November 2010 Guy released a retrospective ‘greatest hits’ hits package called Twenty Ten. The single Who’s That Girl and the album both went straight to the top of the ARIA and National Airplay charts and within four weeks had both reached Platinum sales. Twenty Ten was Guy’s sixth consecutive Platinum selling album. In 2011 and 2012 Guy continued with the judging team on the highest rating show The X Factor. In doing this he showed Australia what a fantastic mentor he is, with contestants Reece Mastinfrom his team in 2011 winning and Samantha Jade from his team in 2012 also winning the title. Apart from the success of The X Factor, 2012 was a huge year for Guy in many other ways. He and wife Jules welcomed their first son Hudson in March, which was almost immediately followed by the national sold out Armageddon tour. Guy’s 7thalbum, also entitled Armageddon was released in October and featured four hugely successful singles: Don’t Worry Be Happy, Gold, Battle Scars (featuring Lupe Fiasco) and Get Along. Don’t Worry Be Happy reached number five on the ARIA charts and 4x platinum status, Gold reached number ten and gold status, Battle Scars debuted at number 1 and reached 6x platinum status and is Guy’s sixth Number 1 song in Australia. It also reached number 2 inNew Zealand and double platinum status there as well as number 6 in Norway. Battle Scars also spent 20 weeks on the US Billboard Hot 100 chart, also achieving platinum certification. Guy performed the song live for the first time with Lupe Fiasco on The X Factor. He then performed the song in New York on The Late Show with David Letterman on 27 September, 2012, and again in early 2013 with Lupe on both Late Night with Jimmy Fallon and Conan. Battle Scars was used in the US promotion for the movie Red Dawn and on release peaked at number one on the Billboard Rhythm Charts. Subsequently Battle Scars won the R&B/Hip-Hop category in the International SongwritingCompetition, and Get Along won an Honourable Mention. 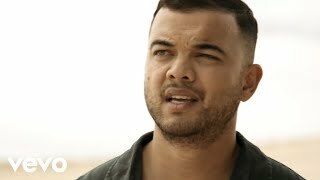 Battle Scars was also used in the official trailer for the movie The Butler and reached platinum sales in the US in August 2013, seeing Guy join the small group of Australian musicians to have achieved this level of sales in the US. Get Along was again used in Tony Abbot’s address to the United Nations in 2013. 2013 saw Guy’s national Get Along Tour sell out across all 47 show dates in all markets across Australia, running from March until the end of June. 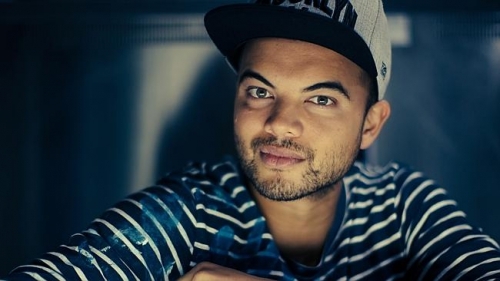 Guy has spent the majority of 2013 between Sydney and Los Angeles writing his 8thstudio album, with the highly anticipated release to occur in 2014. In December of 2013 Guy opened for Taylor Swift on the Australian leg of her 2013 world tour, ‘The Red Tour’, featuring 6 sold out stadium concerts across Australia’s major metropolitan cities. In August 2014, Guy released Come Home With Me, the follow up single to the hugely successful Like A Drum, and the second single off the forthcoming album. Come Home With Me was written by Sebastian with Mario Marchetti, known for his work with Demi Lovato and The Black Eyed Peas, and Britt Burton who has worked with the likes of Alexandra Burke and The Wanted. The single was recorded between Sydney and Los Angeles; and mixed and mastered between Atlanta and New York –a minor indication of the many cities Sebastian now splits his time. In October of 2014 Guy released Mama Ain’tProud, a collaboration with rapper 2 Chainz, and the third single of the highly anticipated Madnessalbum which was released Australia wide on November 21, 2014. 2015 has already seen Guy perform his sold out Australian Madness Tour and become the first ever Australian performer to be part of the Eurovision contest. Aside from his music, Guy enjoys a reputation as a person of the highest moral values and integrity. He is an official ambassador for The Red Cross and World Vision, and also supports the Royal Children’s Hospital, Sydney and The Royal Melbourne hospital. In late 2013, Guy and his wife Jules established The Sebastian Foundation and the collaborative nature of the organisation will see both Guy and the Foundation work in conjunction with a range of different benevolent organisations both nationally and on a global scale in order to create a lasting change in the lives of the less fortunate.